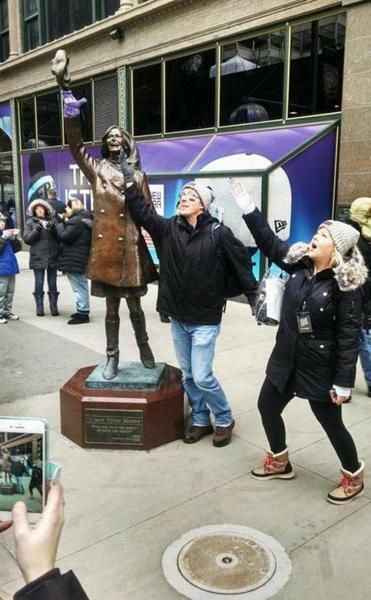 Even in temperatures that made being outside unbearable after just a few minutes, the statue of Mary Richards — the TV news producer played by Mary Tyler Moore on “The Mary Tyler Moore Show” — was popular with passersby in Minneapolis Tuesday. The statue on Nicollet Mall is near the spot where Mary Richards tosses her hat in the opening credits of the 1970s sitcom. The downtown walking district is ground zero for Super Bowl fans, or at least those brave (or foolish) enough to be outside.